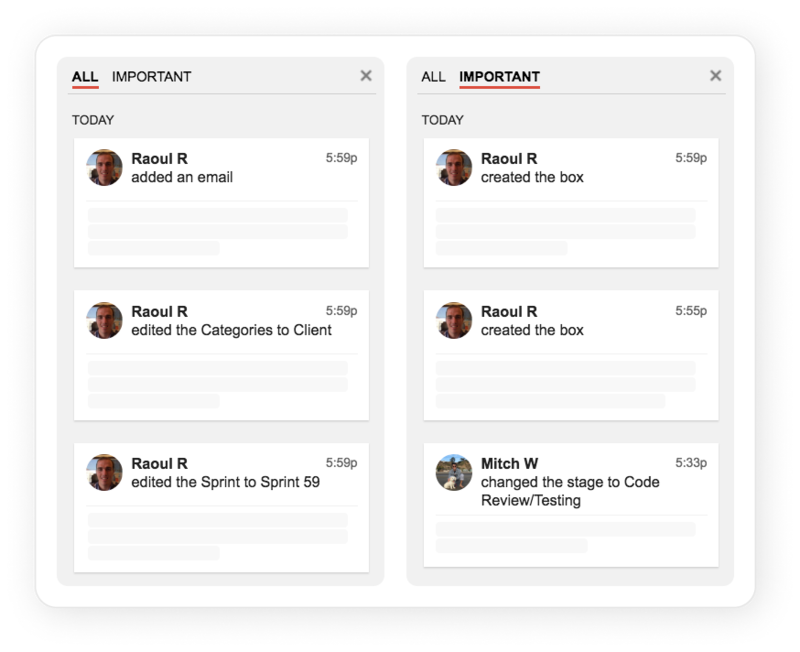 The pipeline newsfeed is where changes within a pipeline are tracked and logged in Streak. At any given time, you can view the last 50 changes made to a pipeline. These changes can vary in detail: from the creation or deletion of a column in the pipeline to the addition of details to an individual box. 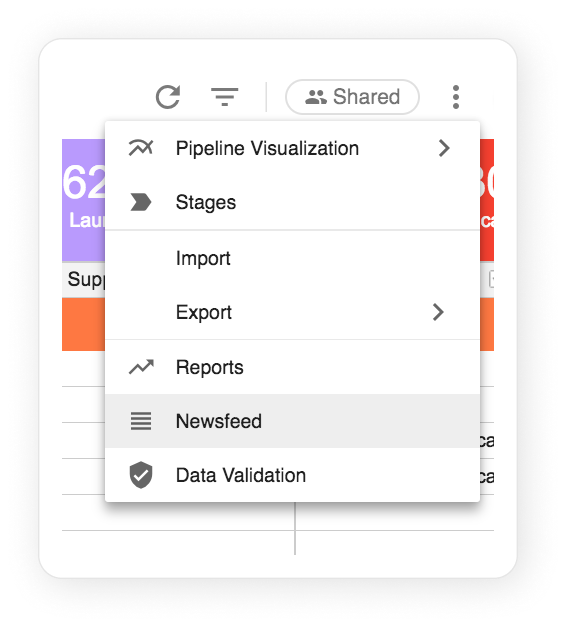 Streak also gives you the option export the newsfeed of a pipeline to a CSV file. 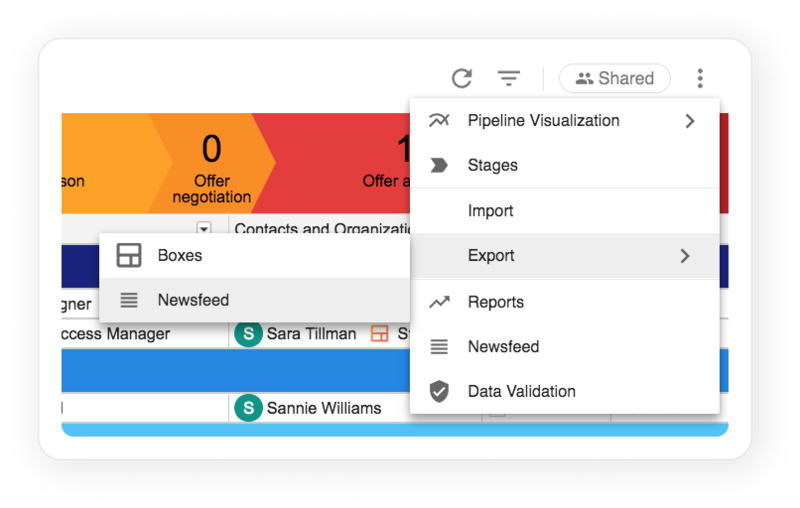 This export allows you to peer beyond the previous fifty changes and see the complete history of your pipeline.